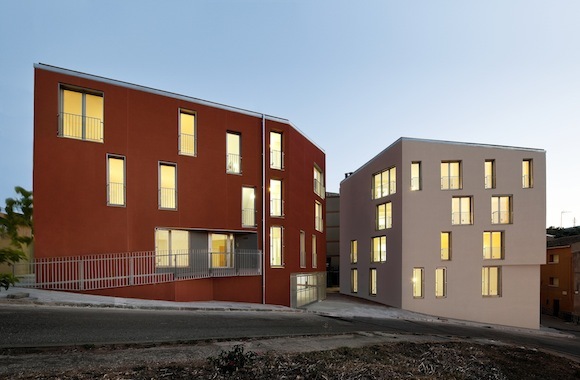 Cities Connection Project | 21 SOCIAL HOUSING UNITS. SANT LLORENÇ SAVALL. Economy: In a rocky plot with a strong slope, locating the Building is crucial to make a viable public housing development; especially when the budget rests under the Standard of construction rates. We divide the program into two compact towers placed on two different levels to avoid unnecessary digging works. The closeness between them and the skyline of the roofs provide a perception of continuity to the whole. Sustainability: Environmental sustainability must be based on social sustainability. And we understand that public housing should take exemplary social commitment that differentiates it from most private developments that forget the collective interest in favour of the interests of the developers and the owners. Beyond resolving functional, energy efficiency budget housing –that finally, only a lucky few will enjoy through an open lottery- we believe that real challenge is how the operation benefits the rest of the community. 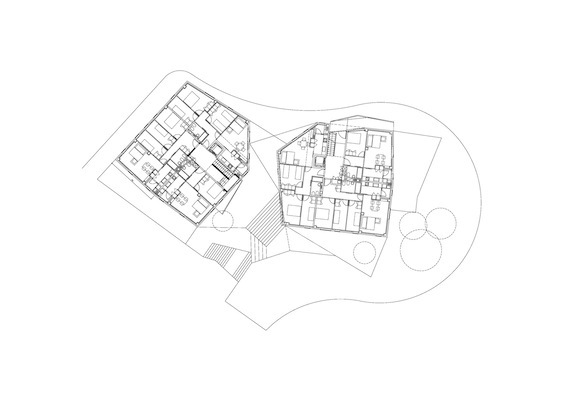 The public space associated to the two volumes is the main commitment in this regard. This development opens up the 100% of the non-built surface to the community. There are no fences, patios or private spaces neither restricted access areas. An existing paved promenade is extended making traverse the site giving continuity to the existing path providing access to some neighbouring housing buildings. Between the two volumes, we originate a little square that concentrates all the access and offers a meeting point open to all. Thus, beyond the double orientation of the houses, the crossed natural ventilation, the use of sunlight and renewable energy, this is a project that gathers people together, that doesn’t build barriers but opens ways and constructs public space.